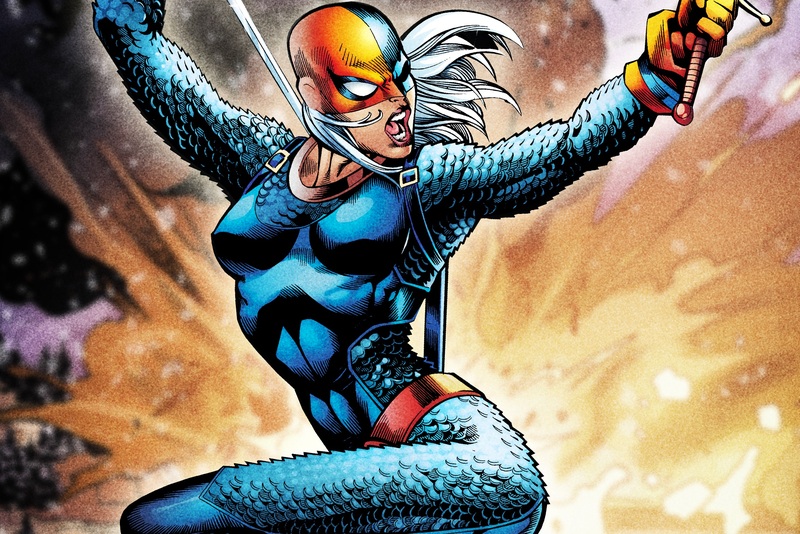 Following the news that Esai Morales has been cast as Deathstroke and Chella Man has landed the role of Jericho, Deadline just announced the latest member of the Wilson family to join the Titans roster—Rose Wilson. Traditionally, Slade’s youngest child, Rose will be played by actress Chelsea Zhang. Rose has a pretty storied history in the comics, something that’s still being written in Christopher Priest’s acclaimed DEATHSTROKE ongoing. However, the description of the character provided by the show gives us some hints on what to expect when she makes her TV debut: Daughter of the deadly assassin, Deathstroke, Rose Wilson was forced to undergo the same procedure that granted her father nearly superhuman abilities, becoming a weapon known as Ravager. Ever resentful, she seeks out the Titans not only for their protection but to get back at her father. Knowing how dangerous it is to be the offspring of their deadliest foe, the Titans take her in, but that doesn't necessarily mean they trust her. Rose has served as both a member of the Teen Titans and an antagonist to the team, and currently seems to fall somewhere squarely in the middle of the hero/villain divide. While possessing the same powers as her father, she was trained by Nightwing, who instilled in her a moral compass that Deathstroke doesn’t possess. However, prior to that training, she was dangerous and out of control, and while teamed with her father, was a particularly lethal threat to the Titans. The fact that Rose is referred to as Ravager above is interesting, as she wasn’t the first Wilson to use that name. That would be Grant Wilson, Slade’s oldest child. There’s been no news yet of Grant’s casting, and it’s uncertain if he’ll be a part of the show. Also interesting is that traditionally, Rose has a different mother than Slade’s two sons. She’s illegitimate, something that has always been a source of irritation to Slade’s ex-wife, Adeline (a character who has also not yet been announced for the show). It’s debatable whether we’ve seen Rose Wilson on television prior to now. The second season of Arrow featured a very Rose-like character named Isabel Rochev who was trained by and allied with Deathstroke in his revenge against Oliver Queen. She ultimately adopted the Ravager name and costume, but as mentioned, she wasn’t Rose. Likewise, Rose Wilson has appeared on Teen Titans Go!, but received the show’s usual comedic makeover. Certainly, this will be the first time we’ve seen her in context with the Teen Titans and the Wilson family, which is where she belongs in the hearts and minds of most DC fans. As for Zhang, she’s young and a relative newcomer, with her biggest role to date being on the Disney Channel series Andi Mack. This will be her first action-oriented role and her first superhero project. Okay, Titans fans, now’s your chance to sound off! What do you think of this announcement? Are you excited to see Ravager on the series? Should she be an ally to the Titans or an enemy? Let us know your thoughts, and make sure you’re subscribed to DC Universe so you don’t miss out on the Wilson family’s much anticipated debut when Titans returns!